When an independent film studio stumbles upon a cult classic, chances are that they’ll milk it for all it’s worth with a barrage of sequels. 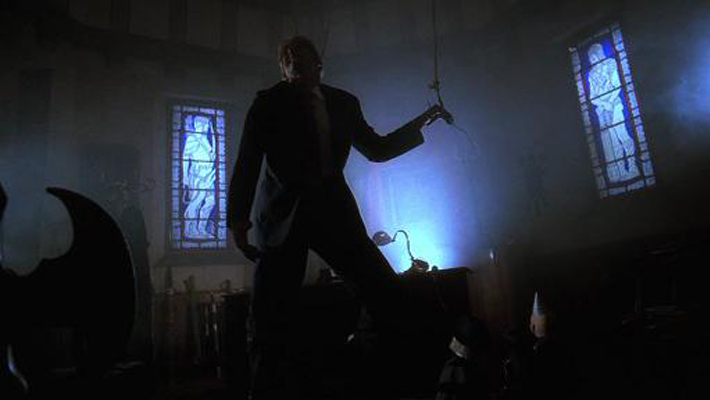 Full Moon Entertainment (now Full Moon Features) had its opus with Puppet Master, so we dive into the original, the sequels, and the cross-overs to see if the milking was deserved. Plot: During World War 2, the Nazis’ search for a way to reanimate dead soldiers to fight brings them to Andre Toulon, a puppeteer whose marionettes seem to have lives of their own. After Toulon’s wife is killed by the Nazis, he begins on a road of vengeance, killing all the Nazis responsible for his wife’s death with the help the our usuall gang of killer puppets. Killer: Technically, Andre Toulon and his puppets are the killers here, but come on: The real murderers are the Nazis. If rooting for the puppets here is wrong, I don’t want to be Reich. 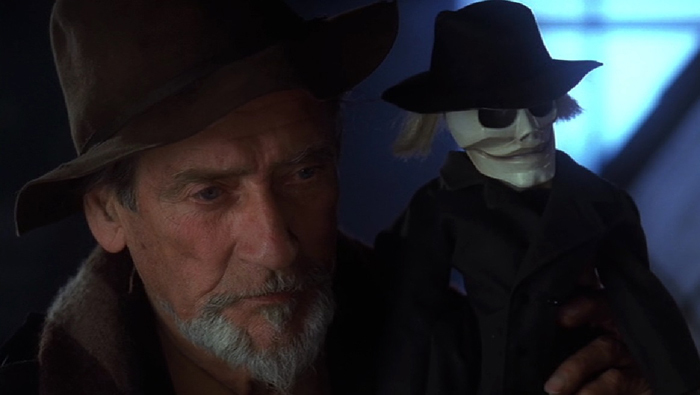 Critique: Believe me, I understand that we needed the first two films of the Puppet Master franchise to give us a base for the conflict we feel about Blade and the gang. We needed to see them kill for the purposes of evil and then turn on their evil masters to show they have a moral compass, or at least show that they can have their own agendas. So when the puppets in Puppet Master 3 assist their friend Andre Toulon(he really isn’t their master, but I don’t want to spoil the big reveal if you haven’t had the chance to see this movie yet) in killing the truly evil, Nazis, it’s not such a far stretch. The story is much more fluid than the past movies, and you care about the characters (besides the Nazis) much more than in the past. 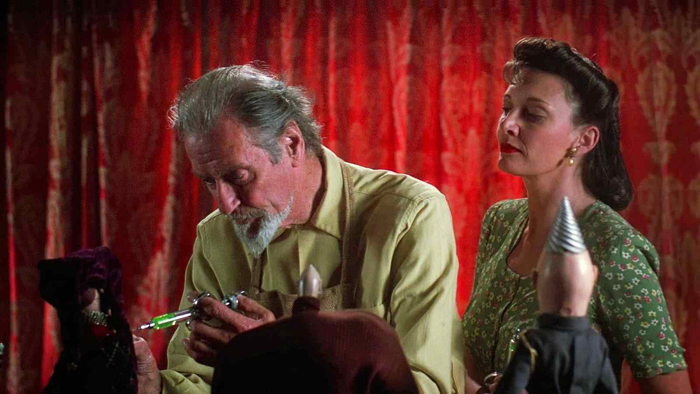 You can even look past the fact that, in the franchise, Andre Toulon committed suicide at the Bodega Bay Inn in California in 1939 in the original Puppet Master, but we find him here in Berlin in 1941 in Puppet Master 3. Continuity be damned. Puppet Master 3 trumps the first. 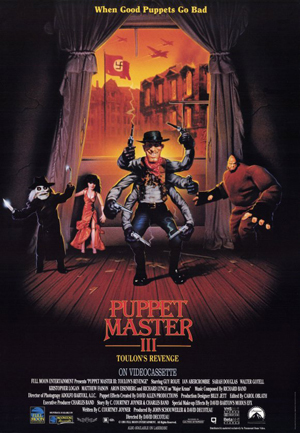 The only real problem with Puppet Master 3 could be that it is more an action movie with horrific scenes than a pure horror movie, but I don’t care. It works. Scene of Awesomeness: The death of Major Kraus is awesome, and not just because he gets smacked around by the puppets before Pinhead shoves hooks into him so he can be pulled up in the air like a deformed puppet. It is the idea that Kraus seems to hate that he is a puppet for the Nazi regime. It’s only fitting that he falls like the Third Reich. The reveal of who Blade is sculpted to represent, and who is injected into the Blade puppet, is pretty awesome, too. Scene of Ridiculousness: There’s no scene in this movie that I find really ridiculous. Well, General Mueller’s stunt-double is pretty ridiculous. However, I do find the poster tagline, “When Good Puppets Go Bad,” to be ridiculous. They didn’t go bad. They became great. There are few things greater than killing Nazis. Actors/Actresses of Note: Guy Rolfe plays Andre Toulon, but he also played the part of Gabriel Hartwicke, one half of the controlling couple in the horror film Dolls from 1987 that Charles Band helped produce before launching killer dolls of his own. There’s also Walter Gotell, a fixture in the James Bond franchise, and a long-standing villain of Hollywood films,Richard Lynch.